Is Batgirl Coming To Injustice: Gods Among Us? With the release of the first piece of DLC for Injustice: Gods Among Us arriving on May 7th in the form of Lobo, fans are now wondering who they can expect to see with the game’s second offering of downloadable content. Though many characters have been rumored, we’re now hearing that the next new name added to the game’s roster may be Batgirl. 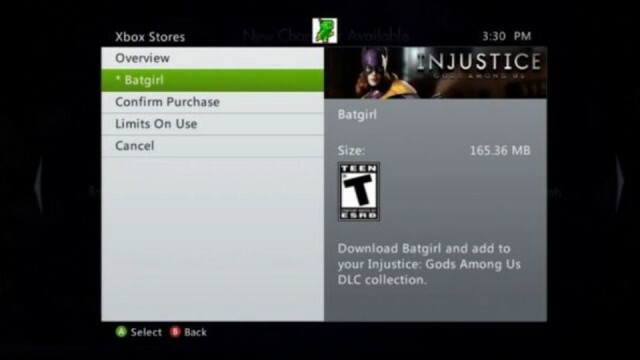 According to some screenshots and a video obtained by GameInformer, there is some definite proof that Batigirl may indeed be the next DLC option. This hasn’t been confirmed officially, but the evidence is there and I wouldn’t be surprised to see the character show up when NetherRealm Studios announces the next piece of DLC for Injustice: Gods Among Us. Honestly, if this is true, then I feel the same way about it as I did about Lobo. While it’s not exactly a bad choice for DLC, there are still several other characters from the DC Universe that I’d prefer to see as downloadable content. Batgirl could definitely be fun and no doubt many fans will be pleased with her appearance, but I just feel that there are so many better options. Poison Ivy, Mr. Freeze, Swamp Thing, Scarecrow? What do you guys think? Are you happy to see Batgirl join the world of Injustice: Gods Among Us?